Welcome to the Bion Cantorum website! Bion translates from Japanese as “beautiful sound”, added to Cantorum to form Bion Cantorum which translates to Singers of Beautiful Sound. 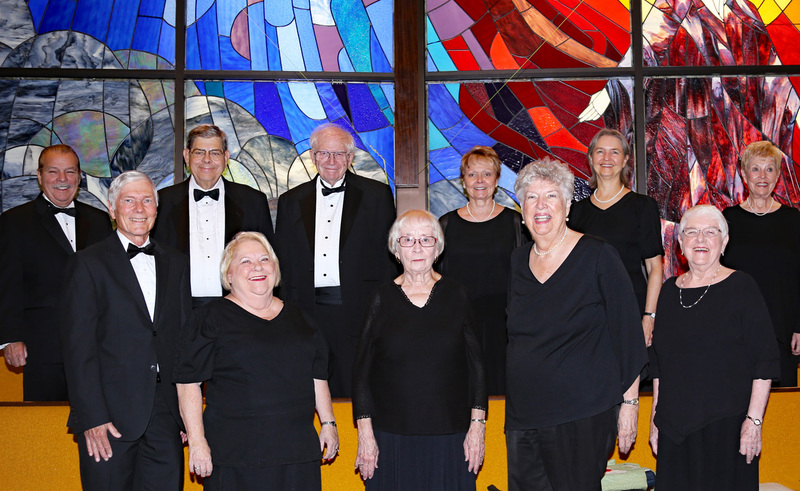 The concept of developing a choral group dedicated to providing beautiful, exciting music to area residents and to provide the opportunity of these residents to participate in a mixed community chorus was a seed planted and encouraged by Maestro T. Francis Wada (former Conductor of the Charlotte Symphony Orchestra) during a conversation with two of the founding members of Bion Cantorum, Ray and Joan Byron. Roy Engler had his formal education at the Eastman School of Music and Westminster Choir College. In addition to choral expertise, his distinguished background includes teaching in brass instruments and voice, performances in trumpet, voice and viola de gamba, and a 30-year career in church music. 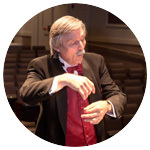 He previously directed the Suncoast Chorale, the Princeton-Hightstown Chorale and the Marco Island Ecumenical Choir, and served as Music Director of the Marco Island Theater. Roy is currently Director of Music at the Gulf Cove United Methodist Church, and plays viola da gamba with the Green Flash Consort of Viols. 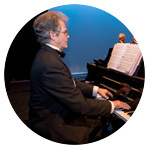 A prolific composer and arranger, Roy lives in North Fort Myers with his wife, Be. John Renfroe is Director of Music and organist at Messiah Lutheran Church in Cape Coral, where he also directs the Chancel Choir and a variety of vocal ensembles and supervises Christian education programs, youth ministries, and visitations, John graduated from Stetson University with a degree in organ performance and a minor in music theory and composition. In 2000, he was invited to be a guest organist in Notre Dame Cathedral in Paris for the Saturday Compline Mass for the Solemnity of Pentecost. He has given organ concerts and lectures throughout Florida and has received thirteen piano awards, including second place in the Chopin competition for two years. John is currently Dean of the Southwest Florida chapter of the American Guild of Organists. John and his wife, Darlene, live in Cape Coral. Front row: Jack Stephenson, Joan Byron, Mary Barnt, Jean Finks, Neta Gensemer. Back row: Ray Byron, Ron Gensemer, Ray Fundyga, Regina Buckley, Be Engler, Edith Nelson. From November 2017 concert ,"Sounds From Bion to Beyond". Not pictured, Roy W. Engler and John Renfroe.